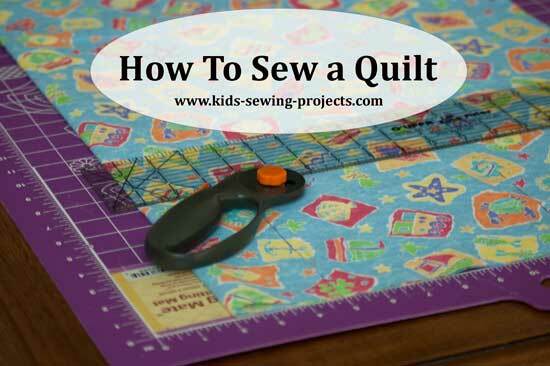 How to sew a quilt. 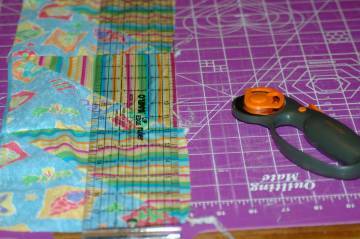 With a rotary cutter and ruler, cut your material into 7x7 inch squares. You can either leave them in squares or if you'd like to work with triangles cut diagonally into triangles. 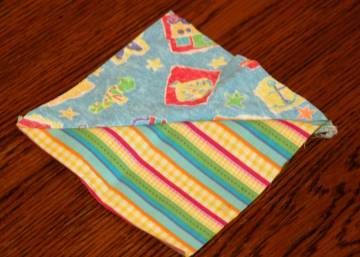 Sew two different triangles together to form a square. ~~See note below. Now sew your squares together making a pattern. Now sew your rows together one after another until they are all attached. 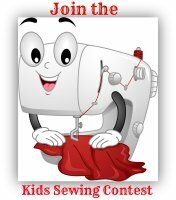 With your rotary cutter again, trim sides even. Now, you have the top of your quilt done. Cut your backing material to the same size as your top, or leave an inch overhang on your bottom material, as below. On a flat surface lay your backing material out flat with right side facing down. Top with batting and smooth flat. 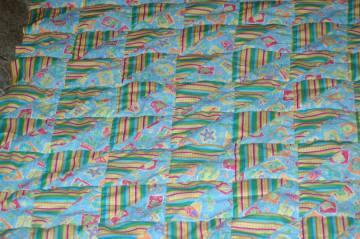 Top with your quilted top right side up. Lay flat and pin several places along edges and through the middle. 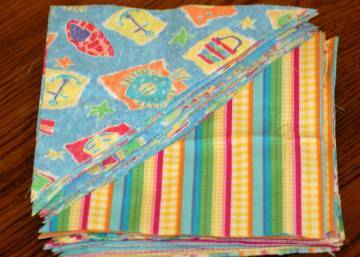 Either tie your quilt or hand sew. 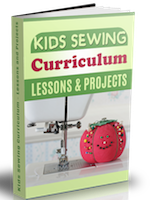 See directions on how to hand sew a quilt or how to tie your quilt. When done tying (or hand sewing), take out pins and turn edges in and pin. Sew around edges taking pins out as you sew. 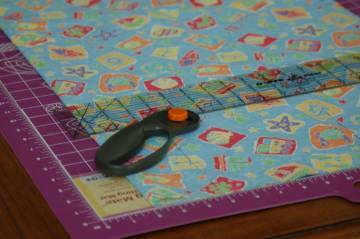 ~~To make it easier for your easy sew quilt, I recommend you start with squares instead of triangles. 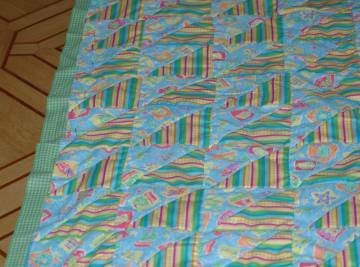 The finished quilt is about 40x 60 inches. This quilt has 70 squares. 7 squares across and 10 squares down. On to another easy sew quilt from how to sew a quilt.